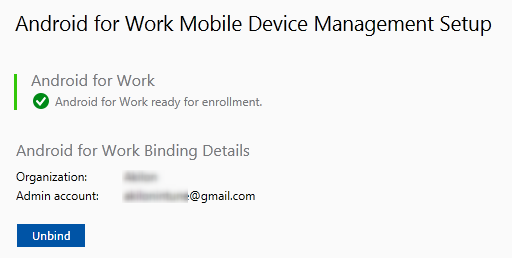 Starting with SCCM 1702, mobile device management with SCCM and Microsoft Intune (Hybrid) now supports Android for Work device enrollment and management. 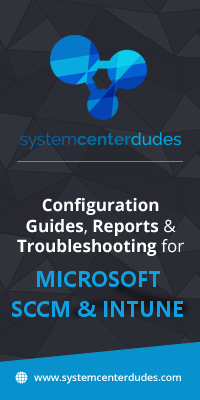 You can manage compliance settings, wipe or delete Android devices, deploy apps, and collect software and hardware inventory. 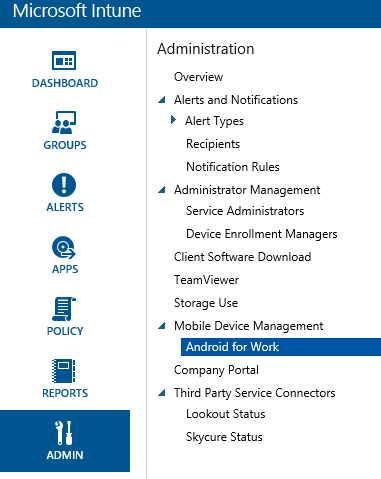 Users can download the Android company portal app from Google Play that lets them enroll Android for Work devices. 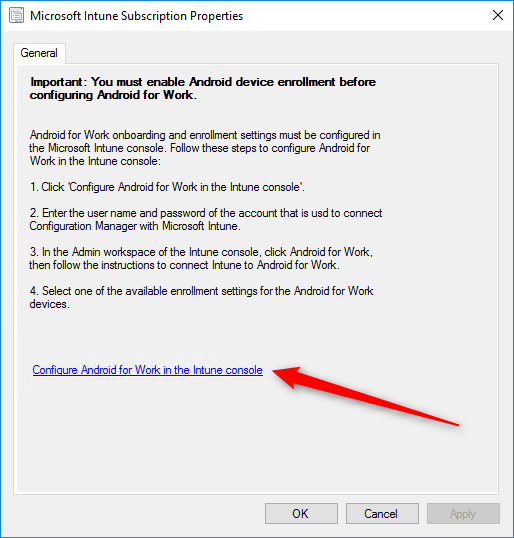 The first step is to create a Google account and configure your Intune subscription to accept Android for Work devices. Refer to our previous blog post, if you don’t already have an active Intune subscription. Your users have to download the Android company portal app from Google Play to enroll devices in SCCM. If the company portal is not installed on Android devices you only be able to deploy apps to Android devices. The app prompts them to create a work profile as part of the enrollment process. Once the work profile is created, users must switch to the managed version of the Company Portal. The managed Company Portal is tagged with a small orange briefcase in the bottom-right corner. The app will prompt the user to create a work profile during the enrollment process. Once the work profile is created, users must switch to the managed version of the Company Portal. 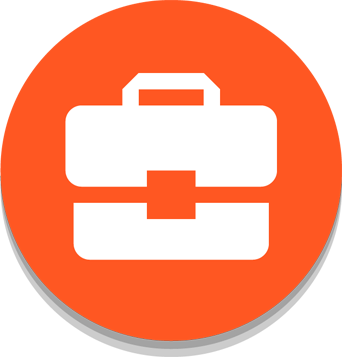 The managed Company Portal will show an orange briefcase. Do you know if SCEP profiles can be deployed for Android for Work devices with 1706? Trying to use certificate based authentication for Wi-Fi on these devices. Same for me, trying to figure it out.